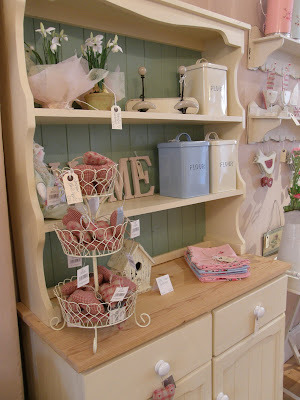 Buttercup & Roses: The painted dresser..
it´s time to say "Thank you" to you for all the inspirations you gave to me. For all the lovely pictures! 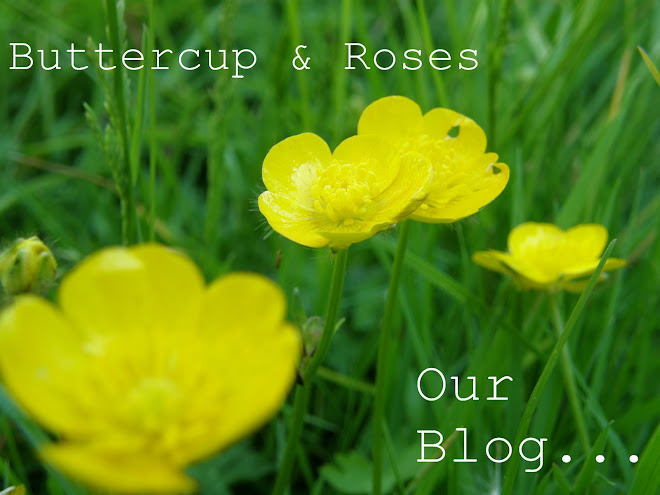 A flavour of roses waves through your blog. 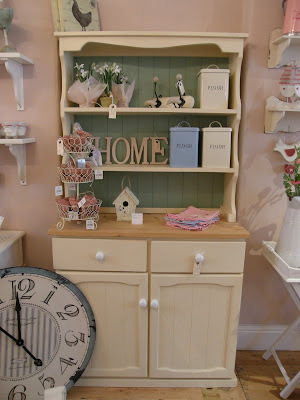 I LOVE your dresser, don't you thnk a dresser just shows off everything at it best, fill it with clutter it looks good, keep it minimal it looks just as good..... Pine or painted I think they are (almost) all lovely. 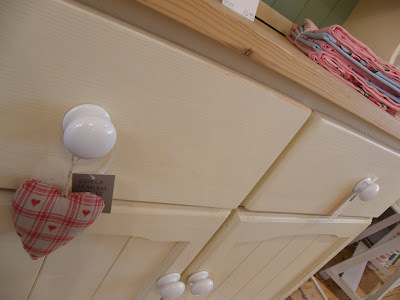 Thanks for your lovely comment on my blog, I bet you're having SO much fun doing up your new little home, if you're anything like me shop stock will end up there!! 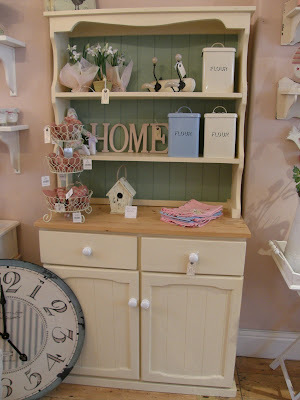 Oh it is soooo pretty and if I didn't have a lovely painted pine dresser of my own I would certainly want this beauty. How can you bear to sell it, it's really pretty? Hope you get a good price for it. Very very beautiful! I love it! Beautiful blog by the way! Oh Jen, why oh why do you have to be sooo far away from me? I am watching it on Ebay, maybe email me with the sort of price your after. Thanks for your lovely emails, hope to speak soon honey-pie. hello, I just wish I had somewhere to put a dresser like that, now if I could knock the kitchen wall down and extend a smidge....! Love the blog and photos - so pretty! you have very nice things. I Love your Blog. Your pictures are so beautiful. gorgeous, gorgeous dresser - it is very hard to part with beautiful things although you do have your lovely kitchen dresser - see i remembered. everything compliments it as you have the knack of displaying items so prettily. i am glad you are posting more often as i enjoy your blog. 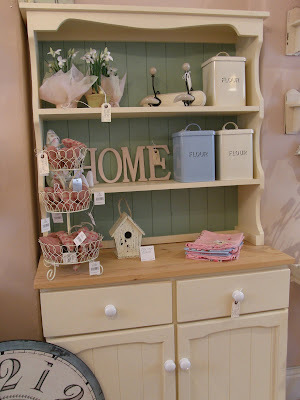 A lovely dresser...the green tongue and groove works really well with the cream colour. And I like all the things displayed...very tempting. thought I would say hello, and its glad to see you back in blog land! 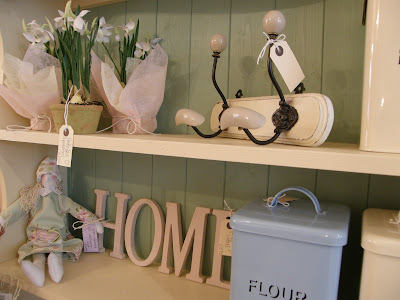 You have a beautiful shop, lots of lovely pretty things!! I love the green and cream together, and wish I had space for it myself!